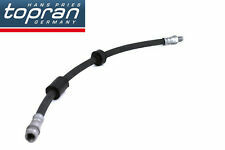 2x Brake Hoses (Pair) Front 6T47975 LPR. Part Number 6T47975. OPEL 4409164 4416297 4418561 91166506 93853917. VAUXHALL 4409164 4416297 91166506 93853917. SAMKO 6T47975. NISSAN 4624200QAA. LPR, hydraulic program is sold in 76 countries, distributed from 6 countries. 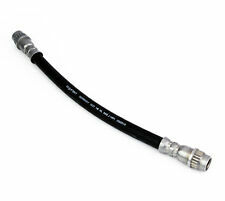 Delphi Rear Right Brake Hose. The Important Bit. Length (mm): 247. VAUXHALL VIVARO Platform/Chassis (X83) 2.0 16V Platform/Chassis Petrol 04/2003 07/2014 FWD 16 120 88. VAUXHALL VIVARO Box (X83) 2.0 16V Box Petrol 08/2001 12/2006 FWD 16 120 88. VAUXHALL VIVARO Combi (X83) 2.0 16V Bus Petrol 08/2001 12/2006 FWD 16 120 88. Without it we cannot take responsibility for the part ordered. We would prefer to confirm your order details and avoid any problems. Models can vary on engine and/or chassis numbers and several options may fit your car. FOR VAUXHALL VIVARO. Length 1:250. 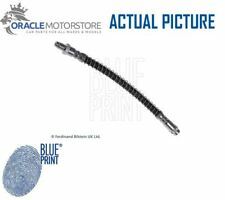 Brake Hose fits VAUXHALL VIVARO Box - 01>14 - ADZ95323. 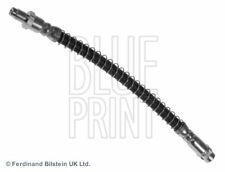 Brake Hose fits VAUXHALL VIVARO Bus - 01>14 - ADN153149.